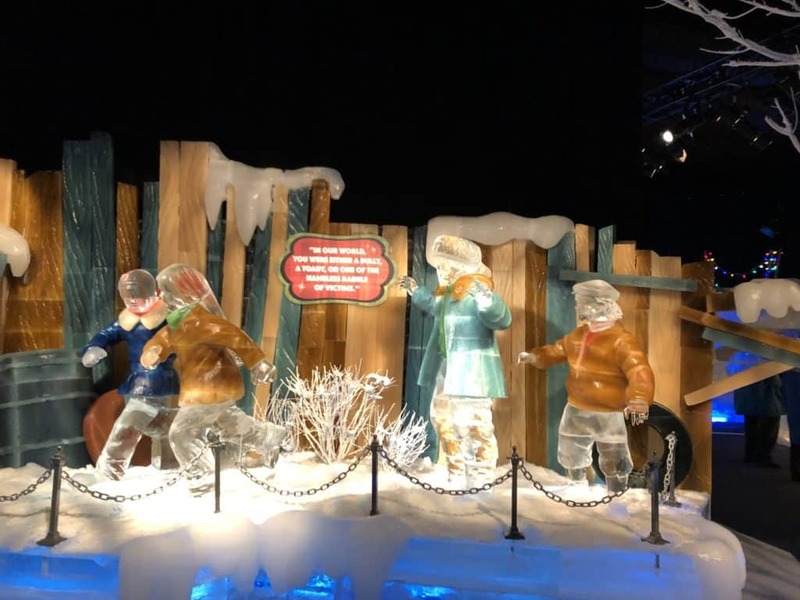 During the holiday season, Orlando offers a different kind of Winter Wonderland that transports visitors to a frozen world cocooned inside the Gaylord Palms hotel, in Kississimme, Florida. The annual ICE! 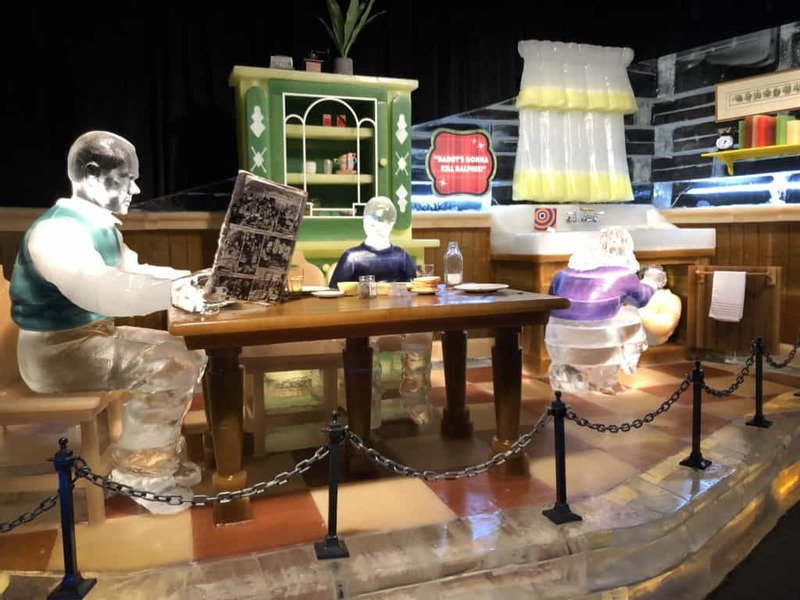 exhibit brings ice carvers from the city of Harbin in Northeast China to sculpt more than 2 million pounds of ice into whimsical designs, each year set to a different theme. 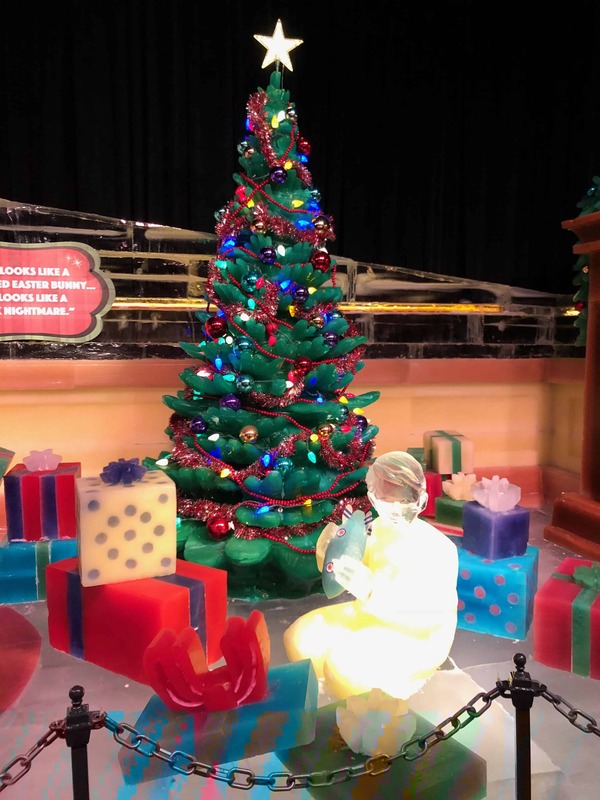 Each year, the final scene at ICE! 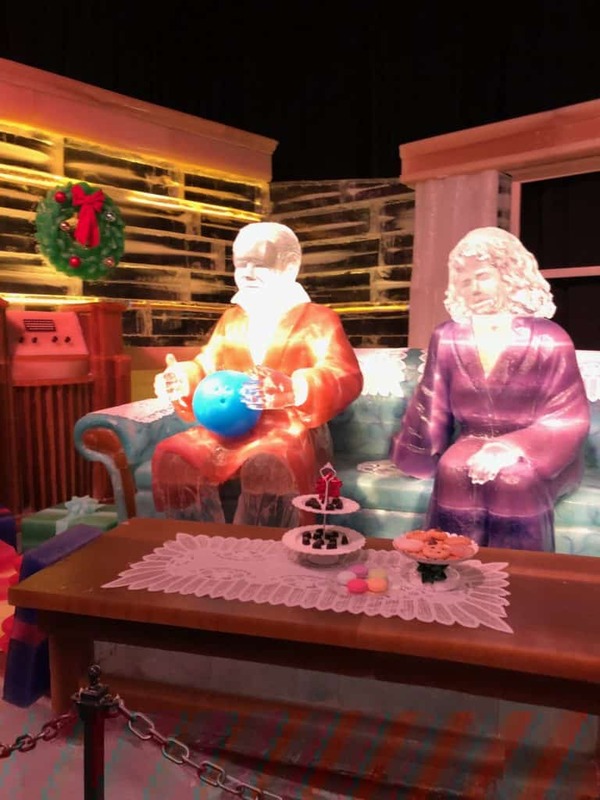 depicts a glowing nativity scene. Our yearly visit to ICE! 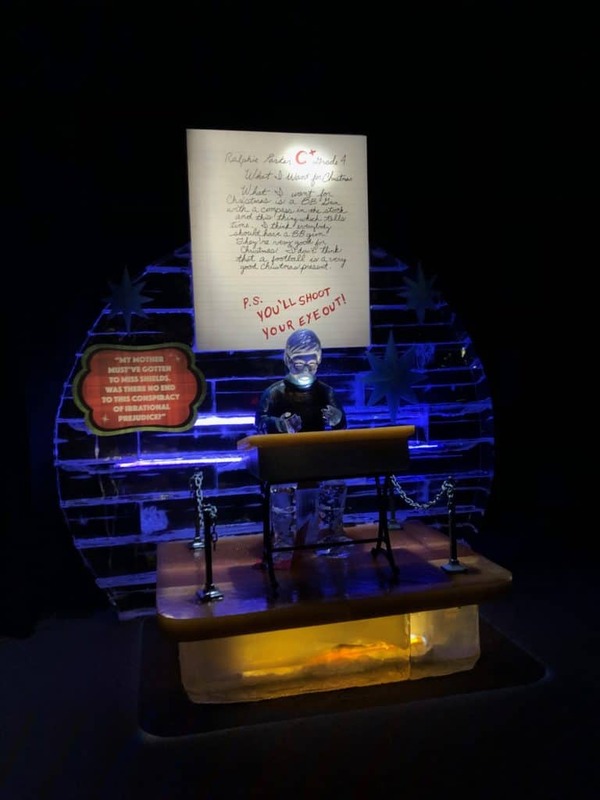 is a family tradition in my household that began more than ten years ago when the exhibit first came to the Gaylord Palms. My children were ages 4 and 7 during our first visit. 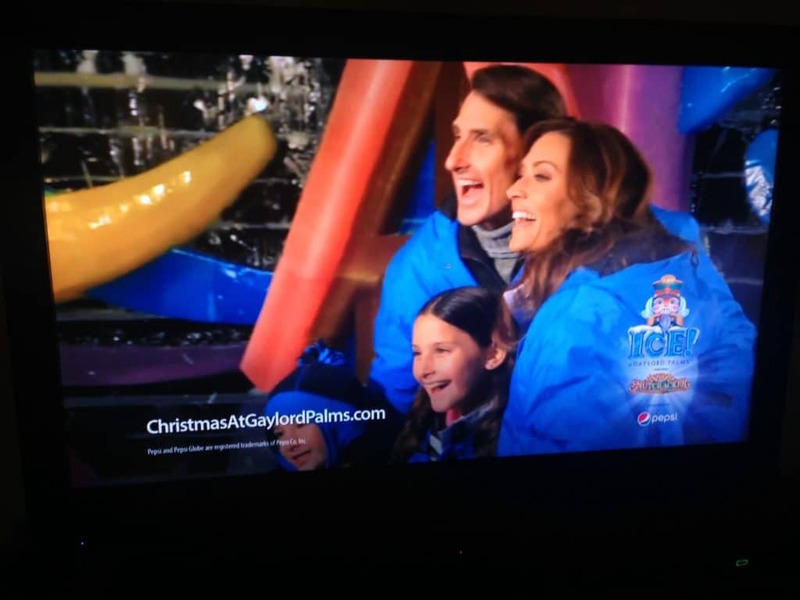 My family appearing in a 2012 commercial for ICE! Gaylord Palms. (Over the years we’ve often worked doing TV and print commercials for Orlando area resorts and attractions.) Although this particular visit was “work,” we’ve attended every ICE! exhibit since it began more than 10 years ago. We were mesmerized by this frozen world where the temperature is a constant 9 degrees, while just outside, temperatures hovered in the 70s, a typical Florida Fall. ICE! was a foreign land, an exotic place and my children were spellbound. 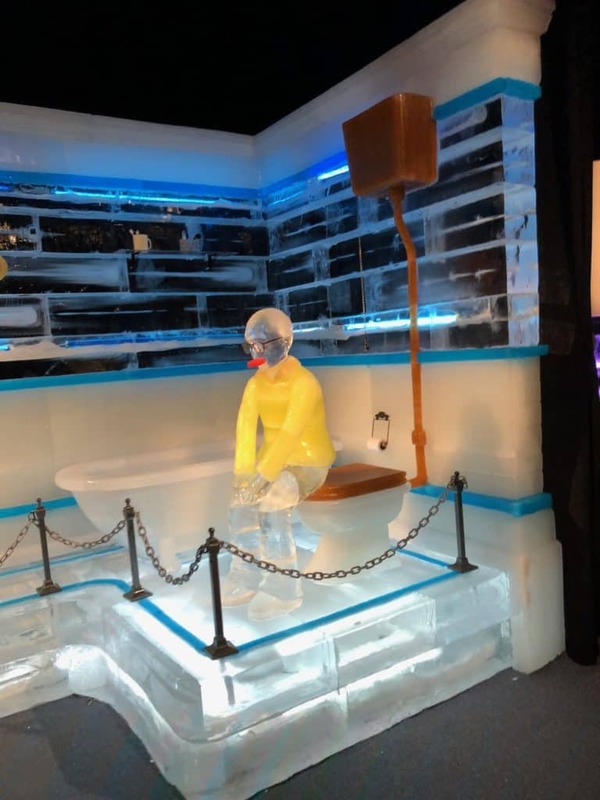 In 2018 ICE! 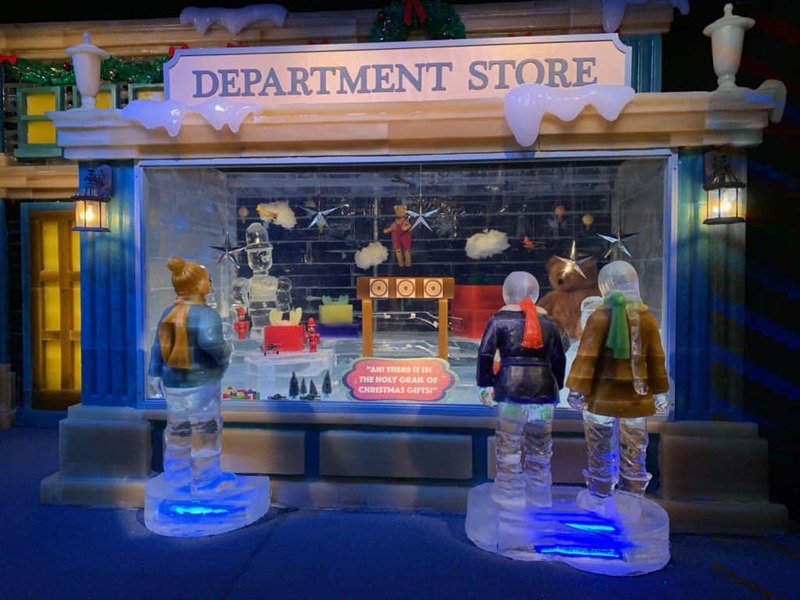 is back at Gaylord Palms featuring vignettes from the classic holiday movie A Christmas Story. Before you head in, the event provides each visitor with a warm blue parka that you return upon exiting. 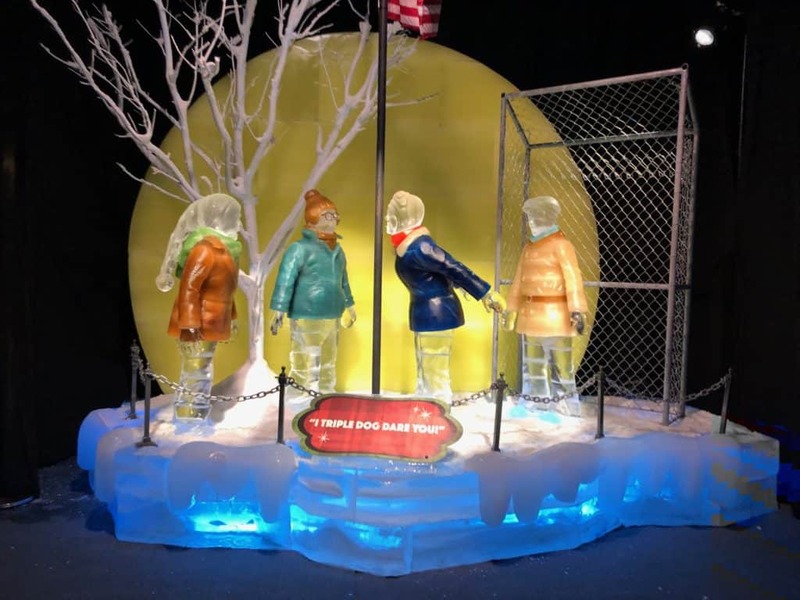 The ultimate triple dog dare at the school’s flagpole scene from the movie, A Christmas Story at ICE! The holiday movie has an almost cult following thanks to nearly three generations who have grown up watching it, including the 24-hour Christmas day marathon showing. My family can recite almost every scene of this beloved holiday film, many which come to life through iconic scenes. 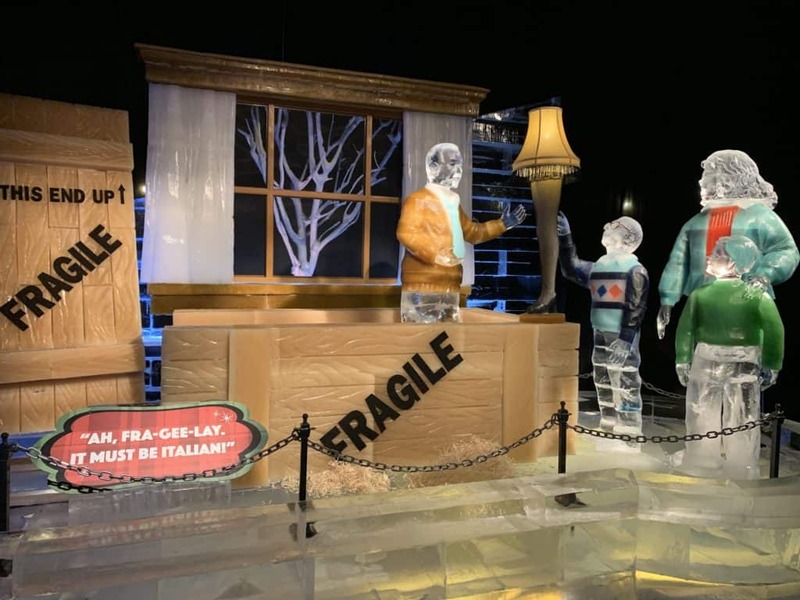 The Old Man’s Major Award scene in the movie, A Christmas Story at ICE! Each time we visit ICE! 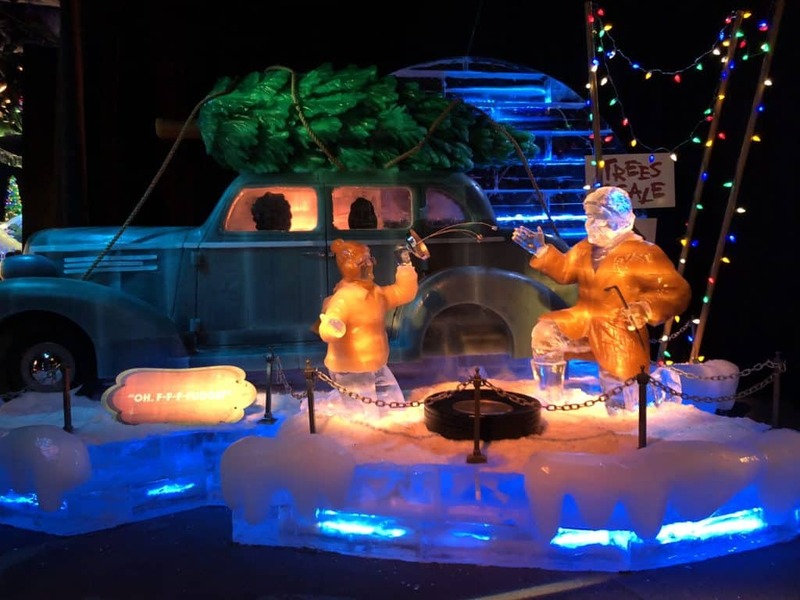 and I watch the ice carvers at work, I wonder how they can take the 9-degree temperatures, working for hours in those conditions. 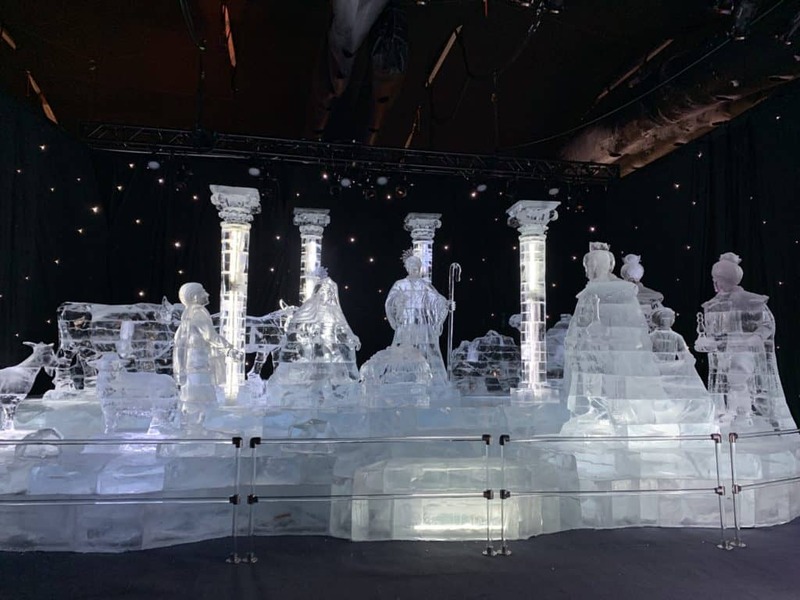 I learned from Gaylord Palms that the ice carvers are right at home in this frozen world because temperatures in Harbin, which is next to Siberia, stay below freezing for half the year, averaging only two degrees and sometimes plummeting to -36 degrees. 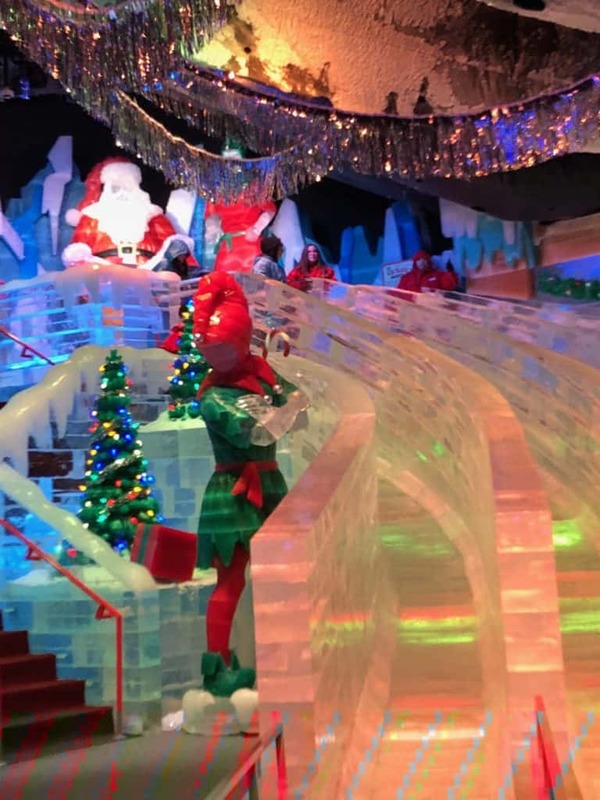 Each year, the ice carvers construct an ice slide in its own room for visitors to enjoy. 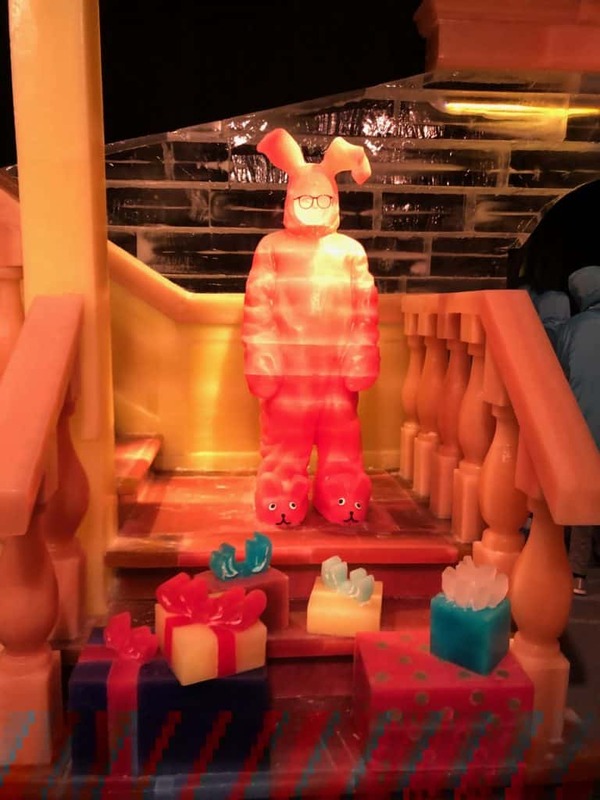 This ice slide recreates the scene in A Christmas Story where Santa pushes Ralphie down the slide with his foot as the laughing elf looks on.